The collection was donated to the University by Donald Shipley Murray in 1987 (accession number 87: 20). The folders contained within this collection have been arranged alphabetically. Donald Shipley Murray devoted many decades of service of the University in both faculty and administrative positions. Murray earned a B.S. in Economics in 1937, an A.M. in 1940, and a Ph. D. in Economic Statistics in 1944. Dr. Murray served on the faculty of Wharton as an Instructor in Accounting and Statistics (1937-1944), Assistant Professor of Statistics (1945-1954), Associate Professor of Statistics (1954-1957), and Professor of Statistics (1957-1980). 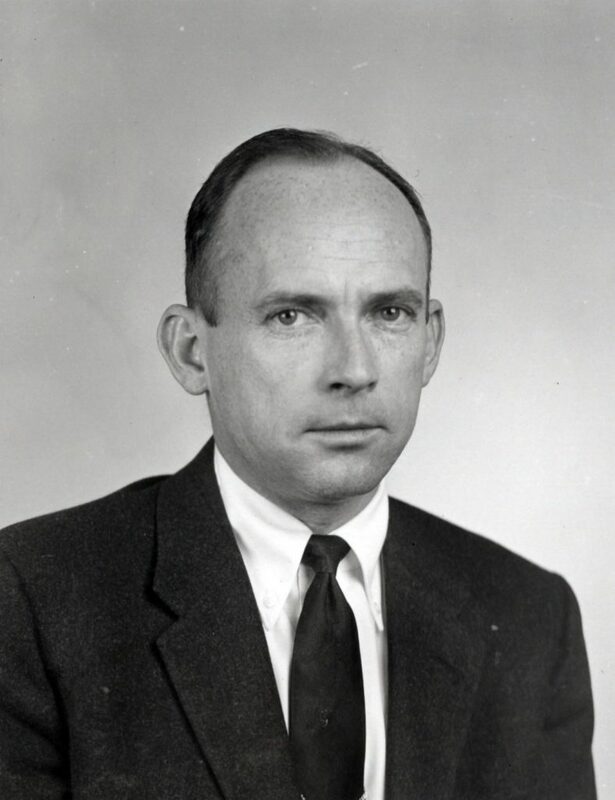 Dr. Murray also served as Acting Director of the College of General Studies (1971-1972) and as Assistant Chairman, Department of South Asia Regional Studies (1977-1980). Dr. Murray’s sister, Mrs. Laura Ruth Murray Klein (1910-1998) was also an alumnus of Pennsylvania (B.S. 1931; A.M. 1933; Ph. D. 1943). Dr. Murray’s administrative appointments included Assistant University Comptroller (1937-1944), Manager of Sponsored Research (1949-1954), Director of Project Research and Grants (1954-1961), University Comptroller (1961-1964), Assistant to the President for Federal Relations (1964-1976), Special Assistant to Senior Vice President for Management (1974-1978), and Financial Coordinator – Office of International Programs (1975-1980). As Assistant to the President for Federal Relations, Dr. Murray’s job was to keep the University informed of new federal programs and policies, especially those pertaining to support for educational facilities and research programs. Essentially, he functioned as a liaison between the University and Washington. Dr. Murray’s time in this position fell during the years of controversy surrounding the Spice Rack and Summit projects. Spice Rack and Summit were two contracts to conduct secret weapons research and were awarded by the United States Air Force and Army, respectively. The faculty, and later the student body, wanted the University to terminate these contracts, citing that any research carried on secretly and whose findings would go unpublished violated the mission of the University to promote the publication and sharing of information. Then President Gaylord P. Harnwell attempted to mitigate the controversy by transferring the contracts to the University City Science Center. The move only further irritated the opponents of Spice Rack and Summit, as the transfer was seen as way to keep the projects unofficially under University control. Dr. Murray’s position as Assistant to the President for Federal Relations put him squarely in the middle of this fracas. Dr. Murray also held many other positions outside of the University, including Secretary-Treasurer (1964-1969) and Treasurer (1969-1972) of the Eastern Association of College and University Business Officers, and well as a board member of the National Association of College and University Business Officers. He was also a member of the Statistical Association, the Association for Asian Studies, and the National Conference on the Administration of Research. The Donald Shipley Murray Papers document his work in the 1960s with Project Spice Rack and Project Summit while he served as Assistant to the President for Federal Relations at the University of Pennsylvania. Included within are newspaper clippings and press releases, correspondence between university administrators and with federal government officials, information on contract negotiations and restrictions, and materials pertaining to University policies on research and secrecy. There are two issues of the Pennsylvania Gazette that include articles that summarize the Spice Rack and Summit controversy. Because of Dr. Murray’s inside perspective on what was a rather tumultuous period in the University’s history, this collection could provide a researcher with previously unknown details or facets of the story.